One of the best examples of a person who successfully collected expensive stamps is the late Alfred H. Caspary. Almost a century ago, Caspary started collecting stamps… but not just any stamps! Caspary only purchased the most valuable ones he could find. 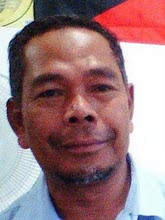 He did this with the intention of investing for his family’s future, a goal many stamp collectors still hold. His stamp collection went on to fetch world record setting prices upon his death with his heirs reaping all of the benefits. One unknown collector, particularly interested in stamps, became the proud owner of the world’s most expensive stamp in 1996 when he purchased it at auction for $2,300,000. This particularly expensive and rare stamp was printed in Sweden in 1855 and was the result of a printing error. Instead of printing the three-skilling stamp on green stock, it was printed on yellow/orange stock paper. Printing errors have resulted in many other expensive collectibles such as misprinted coins and baseball cards. Only one copy of this expensive postage stamp is known to exist. 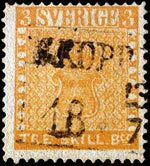 The most expensive stamp in the world was part of the first Swedish stamp series in the years 1855 and, in 1886, a young collector named George William Backman discovered this stamp in his grandmother’s attic. Since then, hysteria over rare and expensive stamps has led many collectors down the road to wealth and fortune. With such an easy way to get rich, who can blame them? Old stamps aren’t the only expensive stamps, though. While nobody will ever pay millions of dollars for a new stamp, Austrians now have the option of buying the most expensive stamp currently in print. The most expensive stamp in print is also the largest one. It measures in at 6.5 by 4.7 cm (or around 2.5 by 1.8 inches). It can be purchased for €5.45 (around $8.42).